What makes a successful investor? Greedy investors who hold onto stocks too long or chase only hot stocks are the ones who do usually do poorly. On the other hand, applying “bullish” or “bearish” long-term strategies yield high gains. “Bulls make money, bears make money, pigs get slaughtered,” which warns investors about being impatient. With a myriad of investment opportunities in Japan, we became bullish on it. Tokyo 2020 Summer Olympics were announced in 2013, and it is believed that in the 2013-2030 period, Japan would see a $300 billion (¥32.3 trillion) economic impact for hosting the Olympics. Also, the number of employed people is expected to rise by 1.94 million. Where Will Money Get Invested? Besides the games’ facilities, an increase of investments is expected in developments and renovation of commercial facilities, hotels, public transport, railways, and airports. The demand for interpreters, security, salespeople, construction workers, and other human resources continue to rise. Restaurant and tourism industries, as well as businesses related to agriculture and fishing, will also experience positive changes due to the expected influx of a large number of tourists. We will see progress in tech-related industries that focus on the IoT (Internet of Things) and AI (Artificial Intelligence) service development. 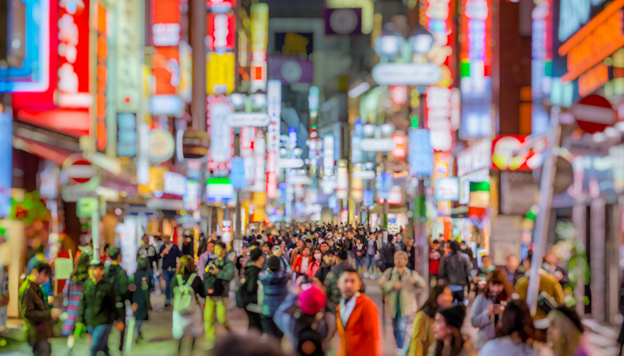 The central Japanese government aims to double the target for the number of overseas visitors to 40 million last year. In 2030, their goal is to reach the 60-million mark. Totesusu Kogyo – a construction company with an expertise in railway construction. Nomura – a company that designs, constructs, and manages exhibition and commercial facilities. Hiramatsu – an elegant French-cuisine restaurant that will continue to develop their brand through traditional Japanese cuisine. Star Mica – a company that renovates and switches pre-owned flats to temporary lodgings, providing a great alternative to hotel accommodation. Hito-Communications – a staffing agency (the human resource sector) that works to address the growing need for the workforce. The Japanese government has moved its focus to tourism and is promoting it actively. In 2019, Tokyo will host the G20 summit and become the first Asian Rugby World Cup host. They have also facilitated their tourist visa conditions, which adds to making Japan a place where investors should keep an eye on. In 2017, the Bank of Japan (BoJ) decided not to change their monetary policy in the next several years. We can expect the depreciation of the yen to continue to 2020 which will work positively for Japanese stocks. Blackhawk Partners professionals approach investments and business as industrialists, working closely with the companies’ management teams to stay involved in their operations. We provide them with substantial resources and strategic help to assist them in generating more significant returns. With us, you can invest and remain sure to create value.